« Fred Staff Scores A Major Movie, And A Brand New Hit Western Series! Texan, Westerns: The Watts Way! 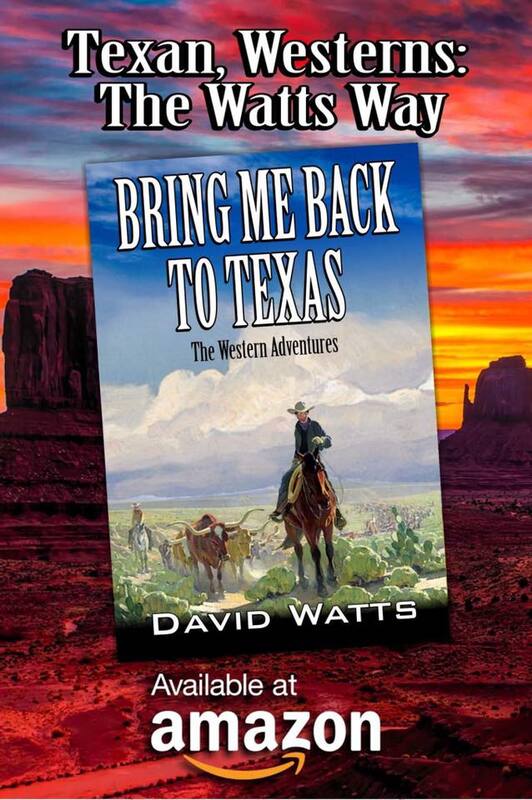 A Brand New Release From David Watts! From one of the most popular Western authors of today come the stories of the Old West that make up “Bring Me Back To Texas” These are tales of the gunfighters, the marshals, the ranchers and the cowboys who made America what it is today. Ride along as this collection takes you across America—with tales you just won’t be able to put down! Roll along, draw your gun and fire by grabbing this book today by clicking here! “Slaughter At Buzzard’s Gulch: Caz: Vigilante Hunter” From Scott Harris Will Soon Be Available As An Audiobook! “A Classic Western: United States Marshal Morgan Porter” Available Now From William H. Joiner, Jr.!